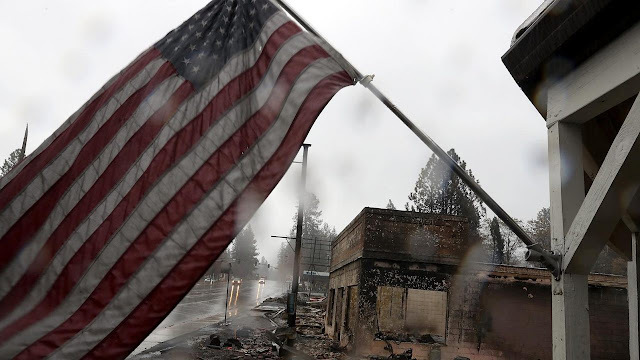 A San Diego-area resident was so moved by media coverage of the Camp Fire in Paradise, California, that he’s donating more than $1 million to the students and employees of Paradise High School, according to the Enterprise-Record. Bob Wilson, a development company executive and restaurant chain partner, has never been to Paradise before. But he knows how important high school was to him, and he wanted to do anything possible to make sure those kids got their own high school experience. So, every student and employee at Paradise High School will receive a $1,000 check at an assembly Tuesday — all 980 students and 105 employees. Wilson wanted to have a significant and lasting impact on the lives of the Paradise High School families, knowing that when the media coverage of the devastation stops, people around the country will move on from the situation. Wilson decided against giving everyone gift cards or bank accounts, or giving the money through a foundation, because he didn’t want there to be any obstacles to them accessing the money. He decided to trust the families to use the money for what’s best for them.